​Inter get their Europa League campaign underway on Thursday night when they face Rapid Wien in the round of 32. After agonisingly missing out on the last 16 of the Champions League, Luciano Spalletti's men will test their resolve in the second tier of European football as they look to notch their fourth title in the competition. Their opponents, meanwhile, muddled through Group G to finish second and secure passage to the round of 32, finishing with ten points from the 18 available. Check out 90min's preview of Thursday's game below. ​The Austrian outfit will be without long-term absentee Tamas Szanto, who is yet to appear this term on account of the cartilage damage he sustained last year. They will also be without midfielder Dejan Ljubicic, who picked up a red card in their last competitive game in back December. For Inter, there is one change in their European squad list as Southampton loanee Cedric has replaced Sime Vrsaljko after the World Cup finalist picked up a season-ending knee injury last month. Honours are even in the two-game series between these sides, with both meetings coming in the UEFA Cup where they played out two-legged ties. 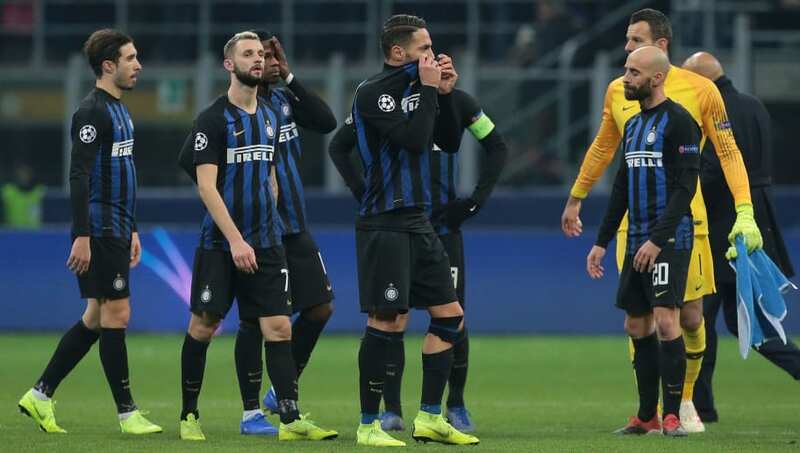 Inter are yet to beat their Austrian counterparts away from home, whilst the Italian giants have won one and drawn one at San Siro. Rapid Wien have struggled domestically this term, having won just five of their 18 outings in the Austrian Bundesliga, which sees them reside in eighth place. Thursday's tie will be their first competitive fixture of 2019, with the Austrian club enjoying a prolonged winter break. Their struggles in the Europa League have been predominantly in front of goal, as only Slavia Prague scored fewer in the group stage out of all 24 qualified sides. ​Inter also go into this game out of form, having won just one of their last five domestic outings. They too have struggled to score goals in recent weeks and Spalletti will be desperate to get his strikers firing again on Thursday night. Inter will be forced to lick their Champions League wounds and recover quickly to have a decent stab at the Europa League this year. Though their goalscoring issues remain clear for all to see, with ​Mauro Icardi on their books the drought is never likely to last too long. Though they are yet to lose on home soil in this year's competition, Rapid Wien will have a tough task containing European royalty in Inter, who will take a slender lead back to San Siro.